Vice President, Association of Advertising Agencies of Nigeria (AAAN), Steve Babaeko, has advocated the need for advertising agencies to start telling the African stories through their creative works. 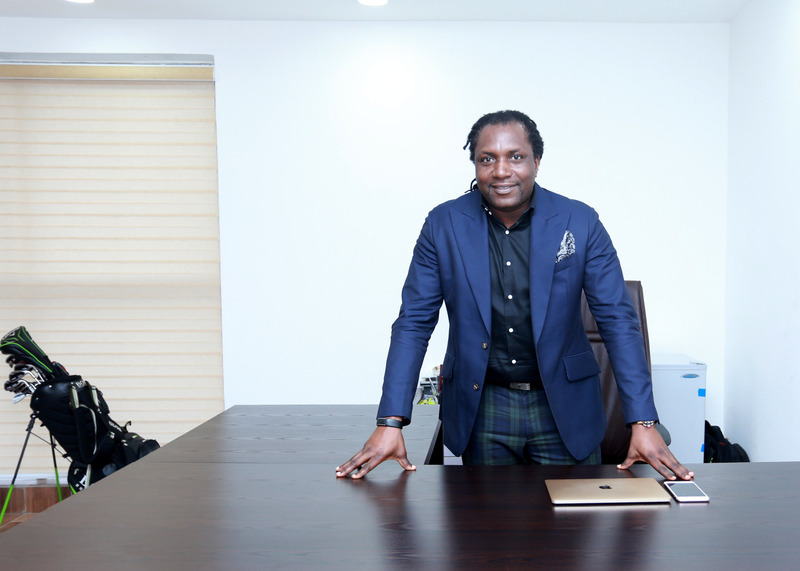 Babaeko, who is also the chairman of the Lagos Advertising and Ideas Festival (LAIF), speaks on the contribution of the creative competition to the growth of advertising industry in Nigeria, in this interview with newsmen in Lagos. What Nigerians should expect from Lagos Advertising and Ideas Festival (LAIF), this year The truth is that almost every year, something new is added to the LAIF Award to deepen its essence and purpose. Beyond that, if a project like that is conceived in Nigeria and has been executed for 13 consecutive years, then it is not a joke. As a professional body, the award is a major milestone achievement that advertising community has achieved and sustained over the years. This year, definitely, we have something new that would be added. Last year, we looked around, thought of the way to raise the bar and we took the award ceremony to Landmark Event Center in Lagos. Since the venue served us well last year, we are retaining it. Another innovation that has been added this year is that there is going to be a seminar that will hold at the Civic Center, Lagos. One major difference between what happened in the past and what will happen this year is that we have other activities that would usher in the festival during our ‘Creative Week’, which will start on December 3, 2018. The theme for the 2018 LAIF Awards is: Future Forward. For the Creative Week, there will be seminar, there will be jurors’ sitting and there will be Young Laifers Competition. Our Chief Juror for this year is Mr. Michael Zylstra, the Chief Strategy Officer, Dentsu Aegis Network, in South Africa. For robust industry discourse, AAAN in partnership with Globacom Nigeria is presenting Mr. Thebe Ikalafeng, as Keynote Speaker for AAAN 2018 LAIF Awards Seminar. Ikalafeng is the founder and Chairman, Brand Leadership Group, South Africa and first African Chairman of Loeries Awards. He is recognised as one of the 100 Most Influential Africans. The topic of the seminar is African Brands Revolution: Why Global Brands dominate Africa? What other purpose does LAIF serve? Every year we challenge ourselves, we look at challenges facing the industry. For instance, technology has become a disruptive phenomenon in the global advertising world. We ask ourselves; what can we do to make Nigerian practitioners battle ready to contend with the global technological trend? How are we preparing for the new order in technology, especially as it concerns data and creativity? Above all, LAIF is making a clarion call to every agency that; for us to survive tomorrow, we have to be ready today. As in the past, that is part of what we want to see with the agencies participating in the award this year. Can you share with us how LAIF has impacted the industry? Let me answer this question in the reverse. Let’s first imagine wiping away 13 years of LAIF Awards and see what the industry would have become in terms of quality of campaigns. Now back to its contribution to the development and growth of advertising industry, there’s no doubting the fact that it still remains the major yardstick to determine which agencies are doing well and which clients are supporting innovation and creativity. Therefore, if it is removed, then there is nothing for us to aspire to. Some couple of years ago, clients didn’t bother much about LAIF Awards but in recent time, especially from the last five years down the line, clients are even the ones reminding their agencies to enter one particular ad or another. What this tells us is that the clients want to see they win as well. LAIF is a major driver of creativity and innovation in this market. If you are a business or a client, one of the indices for the public to determine if you are growing with your agency is the performance of the agency through your campaigns as showcased in the LAIF award. As at today, it is perhaps the biggest creative competition in West Africa and I hope relevant authorities will continue to support us so that it will go on. With LAIF Awards, can Nigerian agencies emerge global heros? Yes, we are getting there. In the past three years for instance, Nigerian agencies have made the continent proud at some international award ceremonies and they have performed well than what was obtainable 20 years ago. I can name agencies that have been winning consecutively in the international circuit. At the Lorries, Nigerians are winning and at Crystal, the same achievement is being recorded. What Noah’s Ark and X3M Ideas did at this year’s edition of Crystal is a major landmark. DDB is doing well in that regard too, Insight is doing great and many others are coming up. So, like I said, we are getting there but of course, there is room for improvement. With LAIF award, that has become a local platform for us to flex muscles, exploring other continental and global awards has been easier than before. In last two editions, new agencies stealing the show with little or no mention of some old ones. Are older agencies now bereft of ideas? No, this is how it is globally and I think we are finally getting ourselves aligning to the global best practices. Abroad, one will see an agency like Droga5 and CP+B (Crispin Porter & Borgusky) that have just come into the scene, starting to clinch the entire award. You will be wondering where these agencies have suddenly sprung up. As the chairman of LAIF Management Board, that is also my joy, we don’t want an award that would be like traditional titles of a few old or big agencies. The mission of the founding fathers was to give the industry a competitive platform that would challenge all; that would spur both young and old creative minds to show their strengths. With LAIF, there are no small agencies and there are no big agencies. If you are a small agency but you come out with big idea then you can win the contest, despite being surrounded by bigger agencies.